Cedar Fork Stitches: Sunday Stash! I have recently had some very happy additions to my, ahem, fabric collection. Some of these additions were acquired for practical finishing purposes, and others just to fill out a shopping cart! I just want to share a couple shout outs to some fun shops, both "local" and online. I don't think I have ever done a "Sunday Stash" post, so here we go, a roundup of pretty fabrics that have come to live with me since late December...enjoy! 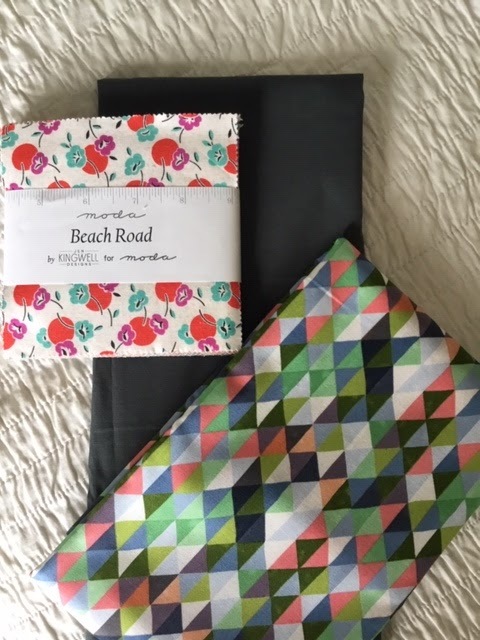 they happened to be advertising that geometric from Hazelwood, the very print I was needing to bind my Tucker Prairie Medallion quilt. I threw in a random Jen Kingwell charm pack and a bolt end of Bella gray...and I was good to go! 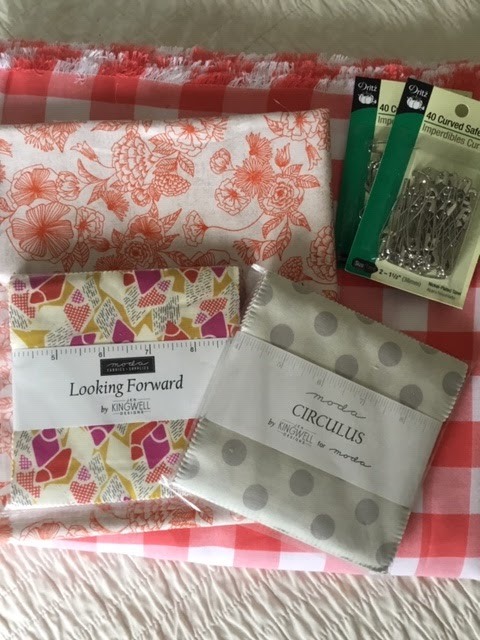 I was also shopping for Carolina gingham to back the Medallion quilt, and found that at the Fat Quarter Shop . 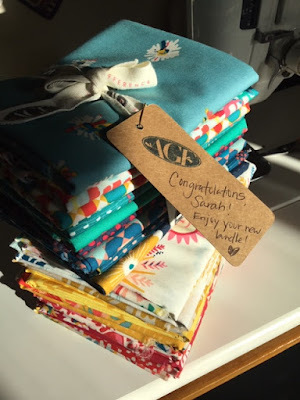 I rounded out my cart with a couple more Jen Kingwell charm packs (do you begin to see a new project in the works?! ), some more quilting pins, and a Basic Grey print to back a Saturday Morning pillow. So almost all of these were necessities, right? I enjoy shopping at FQS, since I have been the beneficiary of their generous sponsorships of online events more than once! 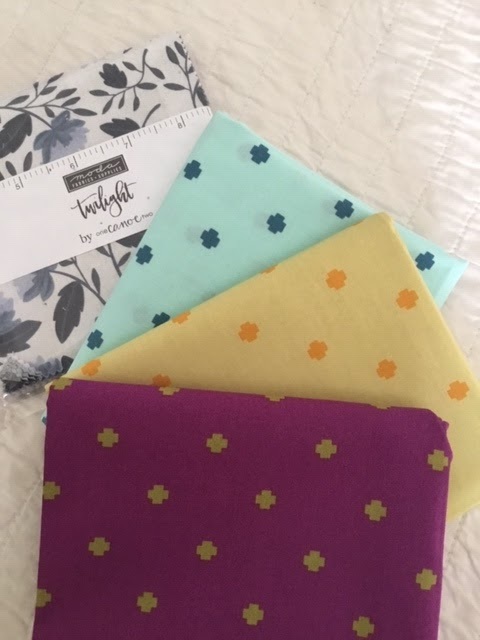 This was a purely impulsive acquisition, again from FQS, when they showed off the new Art Gallery blenders in their newsletter, I simply would not resist these three Matchmade basics by Pat Bravo! Aaaand, one more random charm pack! And speaking of Art Gallery Fabrics, in January I was a very lucky winner of this amazing Half Yard bundle of Maureen Cracknell's "Sunkissed"! It is every bit wonderful! What have you added lately?